Ergogrip corner and combination grab rail is available in several materials and colors; coated steel and coated stainless steel (white/black/red/blue/cream/anthracite) and polished stainless steel with white or anthracite plastic (glass fibre reinforced nylon) flanges and covers. 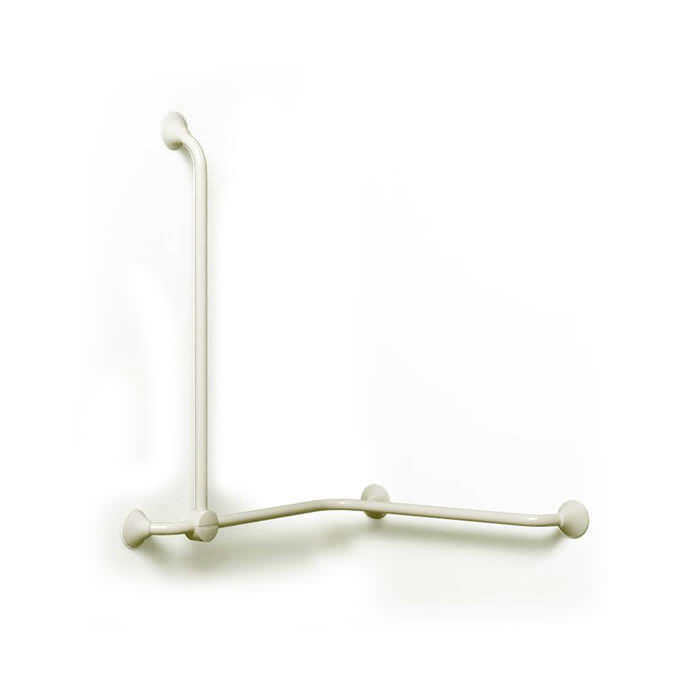 The plastic connection block on Ergogrip combination rail is only available in neutral white color. 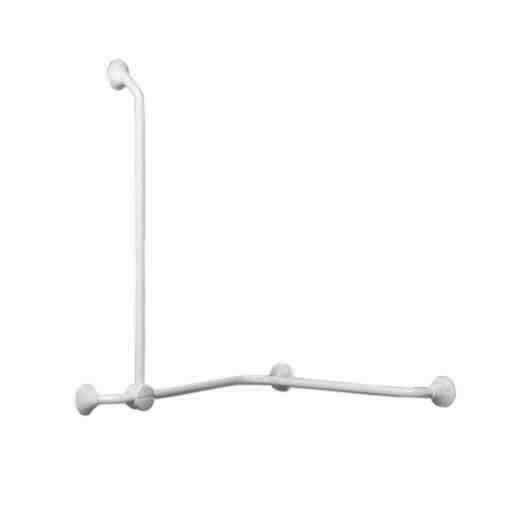 The combination of a horizontal grab rail extending over two walls and a vertical grab rail functioning as a sturdy shower rail creates the perfect solution for safe support in the shower. The surface area of the wall flanges ensures that the load is well distributed, but for secure fixing to a weaker wall, a special backing plate for mounting from the back of the wall is available as an accessory (art. no. LI0126.5034-02). 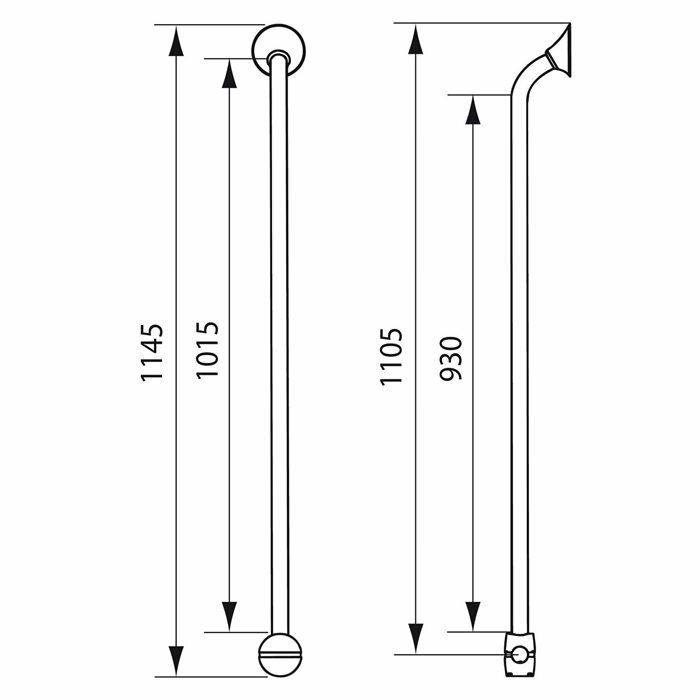 Linido Ergogrip corner is a horizontal grab rail for two walls available in two sizes. The design allows for positioning both left and right in a corner with two walls which are at right angles to each other. 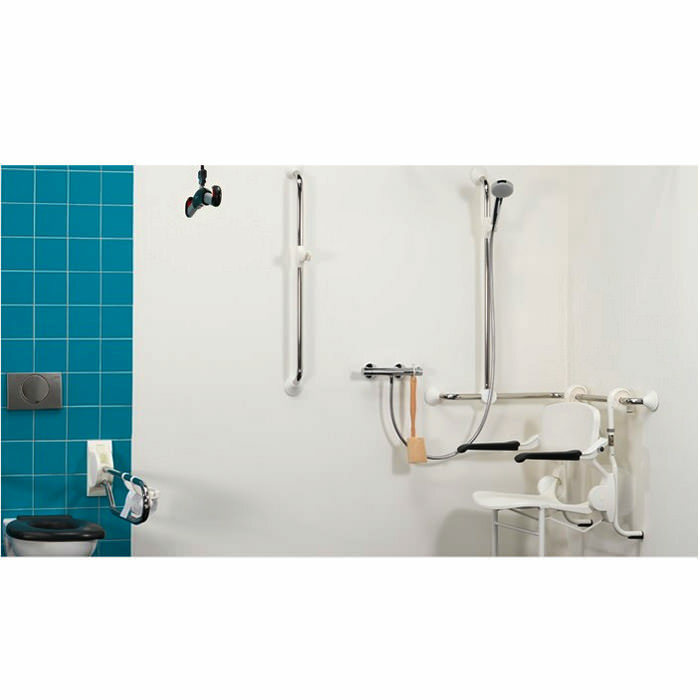 The horizontal grab rail offers safe and reliable support for a standing user, for example in the shower. 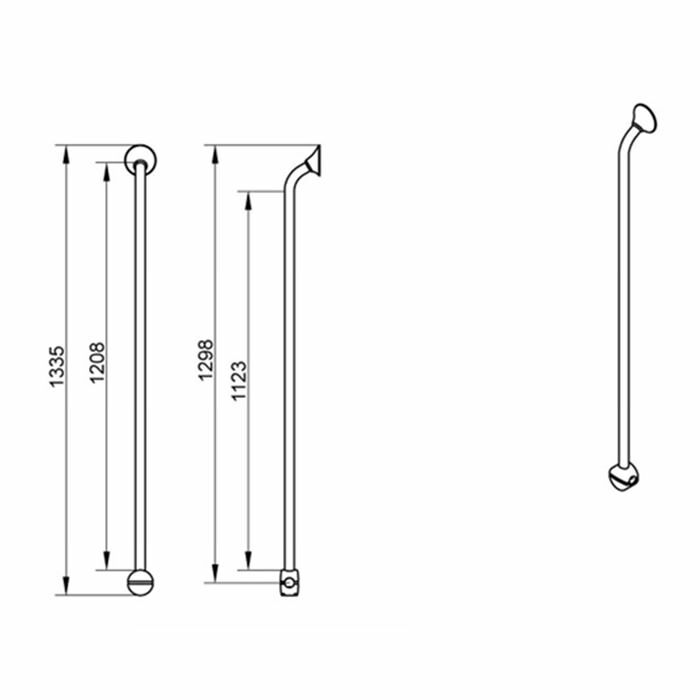 Linido Ergogrip combination rail is a vertical combination grab rail with a strong connection block at one end. 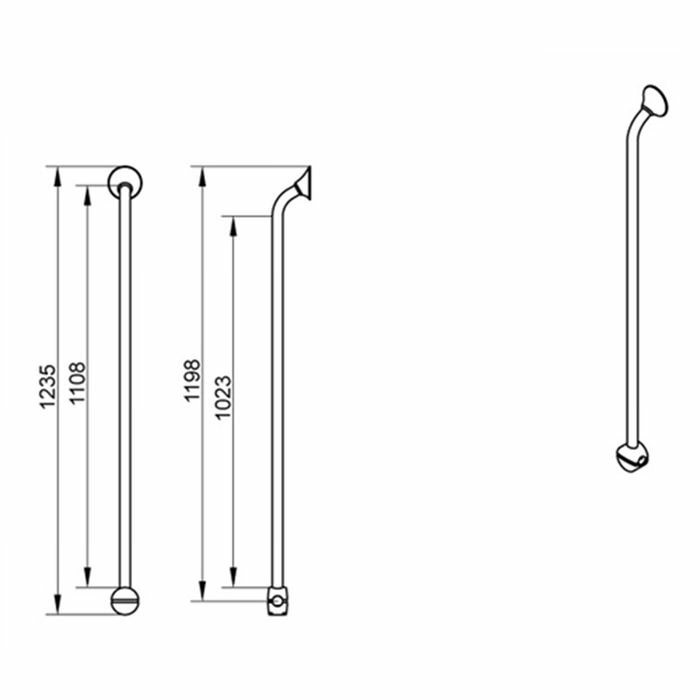 The combination rail, which is available in two lengths, is used in combination with Ergogrip corner or an Ergogrip straight grab rail positioned as a horizontal slide bar. 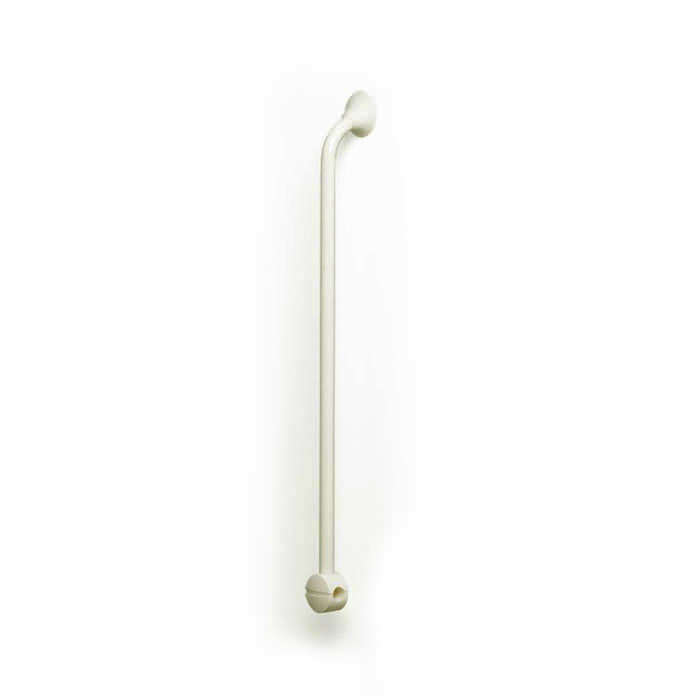 For a perfect fit in any shower area, the vertical combination rail can be positioned anywhere along the horizontal rail. 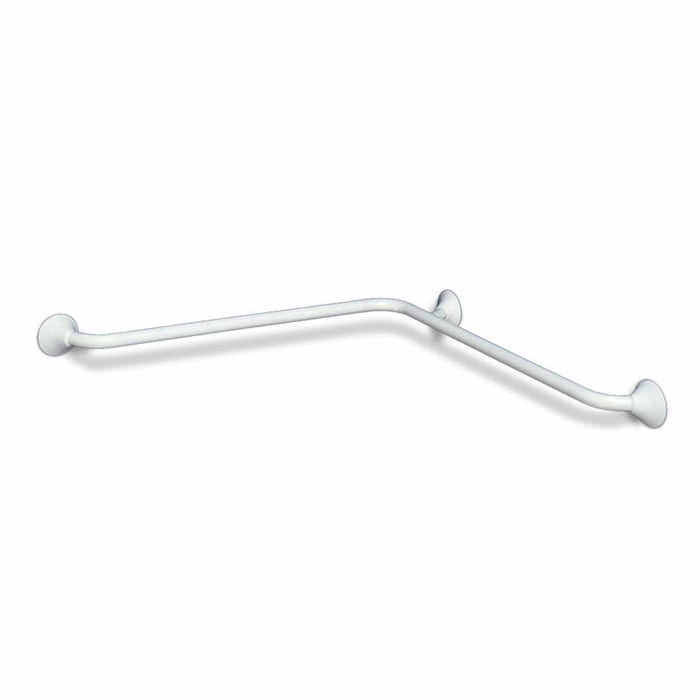 When fitted with a shower head holder, which is available as an accessory, Ergogrip combination rail functions both as a sturdy and safe support and as a shower rail for standing and sitting users. 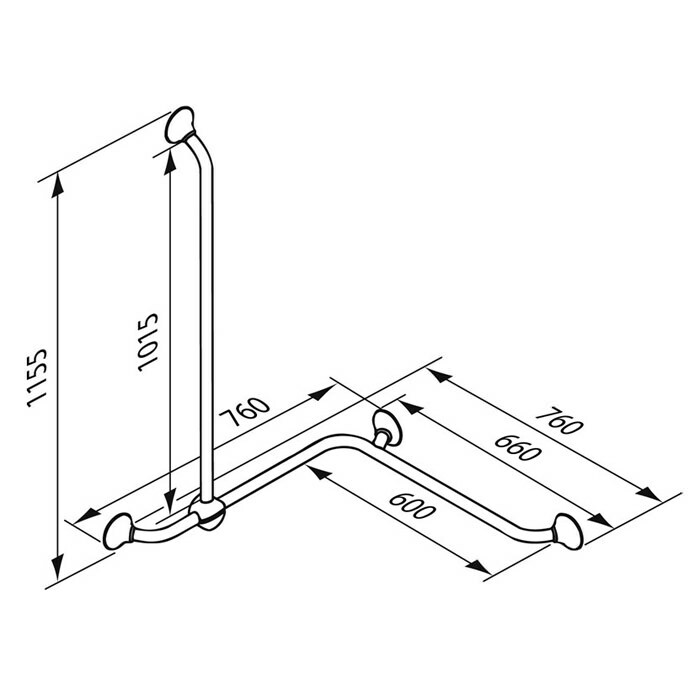 Ergogrip corner can also be used in combination with a removable frame for hanging of an Ergonomic shower seat. This combination conveniently provides a safe and comfortable place for the user to sit in the shower and is an ideal solution when several users use the same shower area. Ergogrip grab rails - for a unique, ergonomic grip - Linido Ergogrip corner and combination grab rails are specially designed to provide a good, strong and ergonomic grip. 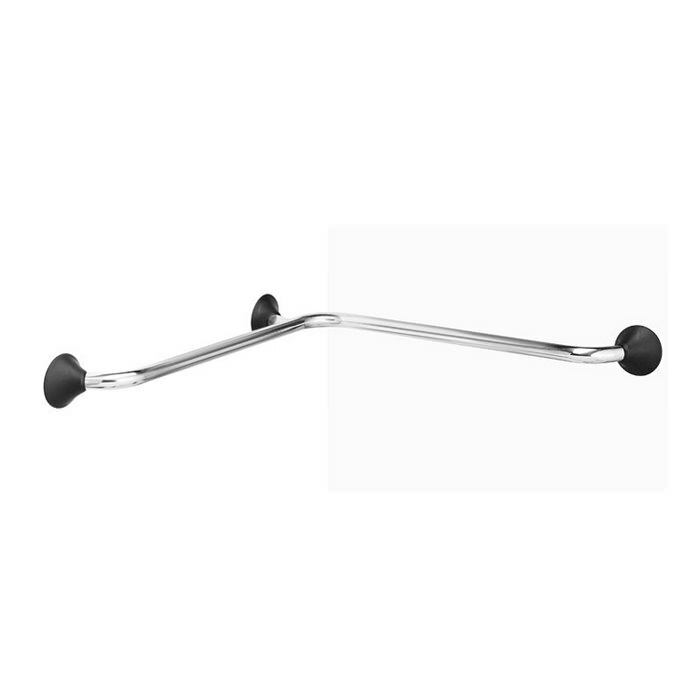 The grab rails feature a round tube with an ergonomic diameter, allowing both large and small hands and fingers to wrap around the tube in a firm and secure grip and providing plenty of room for the hand between the tube and the wall. Furthermore, the tube and its unique angle of 60° rather than the conventional 90° allows the hand and wrist to retain a natural position even while holding the grab rail at the corner. Handicare's Linido™ range offers a wide choice of safe and comfortable assistive devices and practical accessories; products that can be supplied in several materials and colors and that can be combined in an endless number of ways to provide for increased versatility and usability and for the creation of individually adapted support solutions for different locations and user needs. For example, Ergogrip corner can be fitted with a toilet roll holder, which is available as an accessory. Ergogrip corner can also be fitted with a vertical combination grab rail with a shower head holder and/or Click-On frame, a removable frame for hanging of an Ergonomic shower seat. Ergogrip combination rail can also be used in combination with an Ergogrip straight grab rail positioned as a horizontal slide bar. Extremely secure, provides reliable support for users weigh up to 330.7 lbs. 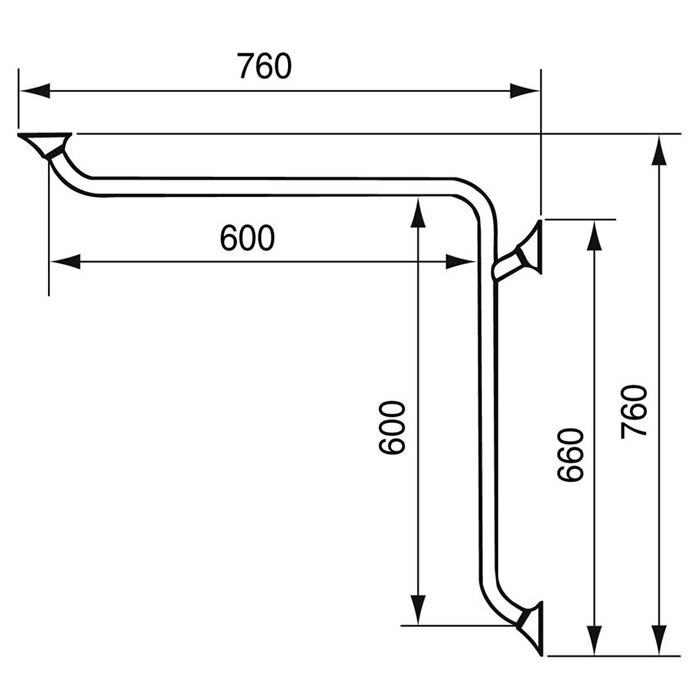 Grip length 23.62" x 23.62" 23.62" x 34.43" 43.62" 47.56"
Distance tube-wall 3" 3" 3" 3"
Tube diameter 1.1" - 1.1" 1.1" - 1.1" 1.1" - 1.1" 1.1" - 1.1"
Total length 0" 0" 48.6" 52.6"
Maximum user weight 330.7 lbs. 330.7 lbs. 330.7 lbs. 330.7 lbs.